BONITA SPRINGS, FL - July 14, 2015 - Interactyx, the developer of the TOPYX® learning management system (LMS) software, is pleased to announce the addition of learning tool interoperability functionality integrated into the award-winning feature set of TOPYX LMS. The LTI upgrade will be available for all new clients and distributed in the next official release for existing TOPYX clients. 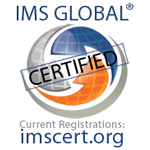 LTI was created by the IMS Global Learning Consortium, a nonprofit organization consisting of more than 200 member, affiliate and alliance organizations advocating the use of open technology standards. LTI establishes a standard method for sharing data between varying Web-based learning platforms. This eliminates the need to develop custom integrations for online platforms to connect and share data. TOPYX LMS has been recognized as a leader in delivering the learning management features necessary for today's training and development needs for growing businesses, associations and eCommerce efforts of any size. With a unique flat fee pricing model and integrated social learning features, TOPYX provides the online learning environment for up to 20 million users across the globe. The availability of LTI functionality will provide even more learning options for TOPYX LMS users, including the addition of Microsoft® Office Mix, a free add-in for PowerPoint® that makes it easy to author and share interactive online lessons. "The development of learning tool interoperability into the robust learning platform TOPYX provides advances the user experience and reduces roadblocks to allow for better data sharing connections with other learning tools," states Alfred Novas, CEO of Interactyx. "We fully support the constructive use of open source technology standards to improve the overall learning landscape and the best online learning environment possible for our clients." LTI will be added to all existing TOPYX instances in the next scheduled release. All upgrades and software releases are provided without a cost to Interactyx clients. More information and release information can be found here. Interactyx, the developer of TOPYX learning management system (LMS), is a global eLearning software company providing engaging and interactive learning experiences to learners, businesses, associations and nonprofit organizations of any size. Since 1995, Interactyx has worked with educational programs to develop engaging learning management solutions. Interactyx is at the forefront of developing eLearning and social LMS solutions that engage learners and enhance collaborative learning environments. TOPYX has gained acceptance as an innovative, affordable solution to deliver a complete eLearning software solution meeting the needs of today's learner that is the best value in social learning software.